News relating to RetroPie – a shell script to setup the Raspberry Pi 1 / 2 with several emulators, various cores, and EmulationStation as graphical front end. On the 22nd March, RetroPie developer Jools Wills was interviewed on the excellent digitalSoup podcast. Big thanks to digitalSoup for inviting us on the show. If you like geeky banter including retro gaming, their podcast is definitely worth a listen. The post Interview with RetroPie on the digitalSoup podcast appeared first on RetroPie. Good news! We now own the trademark for RetroPie in the USA thanks to help and support from Eckland & Blando. In February 2017 it came to our attention that a 3rd party had trademarked the RetroPie name in the USA. They were using the trademark to illegally sell our software and take down anyone else they saw doing the same, even those that just sold hardware and respected our software licences. We posted asking for legal help on this site, and we were overwhelmed with all the offers of support. Thanks! We decided to accept a very generous offer of help from Daniel Cragg at Eckland & Blando, who offered to resolve the situation for us for free, with us only covering the paperwork filing costs. There were a few hurdles along the way, as although the person who dishonestly registered our name agreed to cancel it, they managed to make a mistake with the paperwork, so it took additional time and work from Eckland & Blando to get the situation resolved. Finally though, the trademark is now ours! I want to say a huge thank you to Daniel, Jared and co at Eckland & Blando for all the time they put into resolving this for us. We couldn’t have done it without you. Cheers! 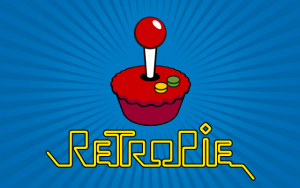 The post RetroPie USA trademark resolved appeared first on RetroPie. RetroPie 4.4 is out, bringing with it Raspberry Pi 3 Model B+ support via our new Raspbian Stretch based images. Raspbian Jessie is no longer receiving firmware and kernel updates, so the move to the new version was required. For RPI users it is recommended to start from a fresh image with this update. It is possible to upgrade the system from Jessie to Stretch but there have been reports of issues by some people when doing so. If wanting to use WiFi on the new Raspberry Pi 3 Model B+, you will need to first configure the WiFi Country via raspi-config before it will work. It’s under menu 4 of raspi-config (Localisation options). Initial support for the Tinker board has been added with this release. It’s a source only install on top of their default Debian image. It has only had limited testing so far, and may need further work. Please see the changelog below for more information on the changes since RetroPie 4.3. You can download a 4.4 image from https://retropie.org.uk/download/. For first installs please follow the Installation Instructions. You can also install RetroPie on top of an existing Raspbian Stretch set up, or on top of Ubuntu on a PC/Odroid-C1/C2/XU3/XU4. Links to the relevant instructions can be found on the Download area. Added support for Raspbian Stretch, and switched to it for our main images, as Raspbian Jessie is no longer receiving kernel/firmware updates. Many changes were needed around the codebase to work correctly with Raspbian Stretch. Added basic support for the ASUS Tinker Board. RetroArch updated to v1.7.1 (built with video recording support via ffmpeg on Raspbian Stretch). ScummVM – updated to v2.0. This fixes the controller issues and adds support for additional games. Dosbox – Updated to latest code, implemented software MIDI synth support, and launching via .conf files directly. AGS – enable DIGMID support for MIDI playback on devices with no hardware MIDI Support. Added customhidsony, a custom hid-sony dkms driver module patched to fix the eternal vibrate bug with third-party Shanwan controllers. wolf4sdl – fix spear of destiny mission support. Zdoom – add support for launching Hexen 1 Series, Heretic, Strife and Chex 3.
cgenius – updated to v2.2.0. Amiberry – update to the new SDL2 release (still using SDL1 on the Raspberry Pi due to performance reasons). Emulation Station improvements including Kiosk mode, and a new experimental module emulationstation-dev for those wanting to try our the very latest Emulation Station code. Various mupen64plus (N64 emulator) fixes. Removed lr-armsnes as it’s no longer developed and has only minor changes over lr-snes9x2002. Fix non working xm7 (Fujitsu FM-7) emulator. Joy2key – input mapping improvements and fixes. Identify and allow installing on Linux Mint Debian Edition and Deepin. Added various new Emulation Station themes, installable from RetroPie-Setup. Update lr-desmume and split 2015 version off to lr-desume2015. yquake2 – Supports Quake II and both official mission packs. Abuse – port of run and gun game. The post RetroPie 4.4 is released appeared first on RetroPie. RetroPie 4.3 includes a lot of improvements to our default launcher Emulation Station, including Favourites/Recently Played and custom ROM collections, video and image screensavers, power saving modes, and the ability to configure your own RetroArch hotkey enable button when setting up your gamepad. Basic support for the Odroid XU3/4 boards has been added. It’s a source only install on top of the Hardkernel Ubuntu Minimal image, but most emulators run well. Please note that RetroPie images for the Raspberry Pi are still based on Raspbian Jessie. Raspbian Stretch is not yet supported, and will be worked on after this release. Many emulators have received updates and fixes, including the RetroArch frontend. See below for a detailed list of changes to RetroPie. You can download a 4.3 image from https://retropie.org.uk/download/. For first installs please follow the Installation Instructions. If updating from 4.0.x you should make a backup first then choose Update all installed packages from RetroPie-Setup main menu. Anyone upgrading from 3.x will need to update the RetroPie-Setup script first. See the upgrade instructions for more details. You can also install RetroPie on top of an existing Raspbian Jessie set up, or on top of Ubuntu on a PC/Odroid-C1/C2/XU3/XU4. Links to the relevant instructions can be found on the Download area. If you want to support the project, donations are always appreciated and can be made on our Donation Page. Thanks to everyone who helped with this release. Collections support including Favourite, All, Recently Played and custom collections. Video and Image Screensaver support. Many theming fixes and improvements. Configuration of RetroArch hotkey enable button. Allow using OMXPlayer for video playback on the RPI. RetroArch updated to v1.6.7. Include minimal retroarch assets for the xmb interface by default. lr-imame4all renamed to lr-imame200 to match upstream name. lr-bluemsx updated to add Colecovision support. lr-mame2003 updated with fixed audio for the Mortal Kombat series. Added SDL1 version of scummvm – scummvm-sdl1 – for those with joypad and MT32 issues with the standard SDL2 version. gamecon_gpio_rpi and db9_gpio_rpi updated for Kernel 4.9 compatibility. Workaround for using PCSX2 on 64bit without our custom SDL library. Updates/improvements to mupen64plus and the GLideN64 plugin. Improved controller button mapping in the RetroPie-Setup menus. 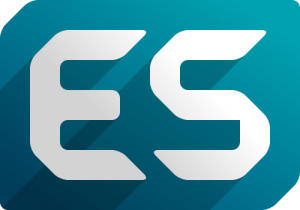 esthemes – Many new themes available to install from esthemes configuration. Ability to update all installed themes. Runcommand – user menu support. usbromservice – fix BIOS and configuration folders not copying. Enabled some additional packages on Odroid boards – hatari, zdoom, openblok, alephone and lr-ppsspp. Bluetooth configuration – improved interoperability with the ps3 controller driver. pegasus-fe – Pegasus Frontend – new launcher/frontend in development. srb2 – Sonic Robo Blast 2 port. cdogs-sdl – C-Dogs SDL – Classic overhead run-and-gun game. The post RetroPie 4.3 is released appeared first on RetroPie. A lot has happened since 4.1, with updates to EmulationStation adding video support and fixing the dreaded white screen of death. Many packages have been updated and RetroPie 4.2 includes the latest RetroArch v1.5.0 as well as Kodi 17 (installed optionally). There are new experimental packages including lr-beetle-saturn (a Saturn emulator for x86_64 only), and DraStic (Nintendo DS emulator for RPI only) amongst others. The pre-made Raspberry Pi 1/Zero image will now work on the new Pi Zero W. RetroPie 4.2 also includes initial support for the ODroid-C2 board (installed on top of the Odroid C2 Ubuntu minimal image). You’ll also notice that the documentation has received a much needed update at https://retropie.org.uk/docs/. There are many other changes, including usability improvements, and bug fixes – for more details please see the changelog below. You can download a 4.2 image from https://retropie.org.uk/download/. For first installs please follow the Installation Instructions. If updating from 4.0.x you should make a backup first then choose Update all installed packages from RetroPie-Setup main menu. Anyone upgrading from 3.x will need to update the RetroPie-Setup script first. See the upgrade instructions for more details. You can also install RetroPie on top of an existing Raspbian set up, or on top of Ubuntu on a PC/Odroid-C1/C2. Links to the relevant instructions can be found on the Download area. Thanks to all those who contributed to this release with a special mention to fieldofcows for his excellent EmulationStation improvements. Support for the ODroid-C2 (on top of the Ubuntu 16.04 minimal image). Kodi 17 now installable from optional packages. AdvanceMame has been updated and split into three separate packages – 0.94, 1.4 and v3.3. To match upstream changes, lr-mupen64plus has been renamed to lr-parallel-n64, and lr-glupen64 has been renamed to lr-mupen64plus. Fixed launching Pixel desktop and other X11 apps from Emulation Station. Fixed problems building Zdoom, ResidualVM and Mupen64Plus and PPSSPP. Doom ports will automatically add launch scripts if it finds doom1.wad, doom2.wad, tnt.wad, or plutonia.wad. lr-snes9x emulator added – a libretro port of the current snes9x codebase. Added Amiberry (an Amiga emulator), which is an updated fork of uae4arm, with more features. Multi disk zip support for Vice (C64 emulator), fs-uae, uae4arm and Amiberry (Amiga). You can now launch Amiga disk images directly from Emulation Station with uae4arm and Amiberry. Standalone version of Stella (Atari 2600 emulator) updated to v4.7.3. usbromservice – support mounting of usb stick over ~/RetroPie to keep roms on USB. Ability to set custom ES themes in configs/all/platforms.cfg (can override any setting in RetroPie-Setup/platforms.cfg). SDL2 updated to 2.0.5. Our patched SDL2 is now used on the PC version of RetroPie, which should resolve an issue with ps3 controller mapping. Sselph’s scraper updated to the latest version, and new options added. Scraper has been moved to optional packages and need to be installed before it will show up in configuration / tools. Include PowerBlock and ControlBlock driver packages. Input configuration script for Daphne. RetroPie-Setup menus now works with all connected joysticks (mapping is still hardcoded). Updated RPI detection code to support BRANCH=next firmware/kernel. Overhaul of the runcommand launch script. Support Xbian on RPI, and Devuan, Elementary OS, and Neon on X86. lr-mrboom (an 8 player bomberman clone). DraStic (Nintendo DS Emulator – RPI only). lr-beetle-saturn (Sega Saturn emulator – x86_64 only). Xm7 (FM-7 / Fujitsu Micro 7 emulator). launchingimages (a script from Meleu to generate system launch images based on installed Emulation Station themes). Many other code changes and bugfixes. The post RetroPie 4.2 is released appeared first on RetroPie. RetroPie 4.1 images are now available for download. Since 4.0.2 there have been various emulator updates including new versions of lr-mame2003 and lr-fbalpha (formerly lr-fba-next) as well as updates to other libretro cores. Some standalone emulators have also been updated such as PPSSPP (PSP), Vice (C64 et al), Fuse and Zesarux (ZX Spectrum). A port of Darkplaces Quake has been added which has hardware 3D (opengles) support on the Raspberry Pi. Some new packages have been added to the experimental section for x86/x64 users, including lr-bsnes (SNES emulator), fs-uae (Amiga emulator), and pcsx2 (PS2). Additional drivers have been added with support for the Steam controller, and mk_arcade_joystick_rpi which can be found in the drivers section. We have also included some new Emulation Station themes for installing via RetroPie-Setup. Some of the libretro emulators have been renamed to match their upstream names. For further information and to see what else has changed since the 4.0.2 image, please see the change log below. You can download a 4.1 image from: https://retropie.org.uk/download/. For first installs please follow the Installation Instructions. If updating from 4.0.x you should make a backup first then choose Update all installed packages from RetroPie-Setup main menu. Anyone upgrading from 3.x will need to update the RetroPie-Setup script first. See the upgrade instructions on the Wiki for more details. You can also install RetroPie on top of an existing Raspbian set up, or on top of Ubuntu on a PC/Odroid-C1. Links to the relevant instructions can be found on the Download area. Many thanks to everyone who contributed to this release, and to all those who donated to the project. Updated RetroArch and many libretro cores to the latest versions. Updated Vice (C64 emulator) to the latest version. Fixed PPSSPP building on the RPI and updated it to the latest version. WiFi configuration – added ability to import Wifi ssid/psk from /boot/wifikeyfile.txt for set-up without a keyboard. Updated Zesarux (Spectrum / CPC emulator) to the latest version. Include lr-glupen64 by default on image (moved from optional to main). Added darkplaces-quake to optional packages. When installing/update the Quake emulators, launch scripts for any installed mission packs will be created. Build ResidualVM with SDL2 + opengles support. Fixed build issues on uae4arm, and kickstart removal on upgrade of uae4arm/uae4all. Screensaver / Screen dimming in Emulation Station no longer stops the built in scraper. Compatibility with upstream plymouth changes. Image is based on the latest upstream Raspbian Lite from 2016-09-23 with all updates. 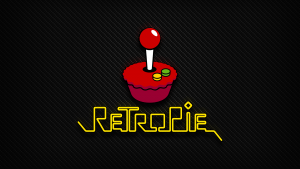 Added retropie-manager web interface (based on recalbox-manager). Added pcsx2 emulator (Playstation 2 emulator – x86 / x86_64 only). Added openpht (x86 / x86_64 only). Added fs-uae (Amiga emulator – x86 / x86_64 only). The post RetroPie 4.1 is released appeared first on RetroPie. 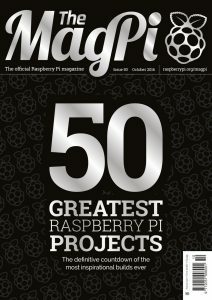 The excellent Raspberry Pi magazine The MagPi have released their 50th issue (free to download but also available to buy in print). Thanks also to everyone who has contributed to the RetroPie project and to the developers of the many emulators and games that we include. The post The MagPi 50th issue released appeared first on RetroPie. RetroPie 4.0.2 images are now available. This is primarily a bug fix release, but also includes Dolphin – a GameCube / Wii emulator (only available for those running RetroPie on a x86/x86_64 machine). You can download a 4.0.2 image from: https://retropie.org.uk/download/. For first installs please follow the Installation Instructions. If updating from 4.0 you should make a backup first then choose Update all installed packages from RetroPie-Setup main menu. Anyone upgrading from 3.x will need to update the RetroPie-Setup script first. See the upgrade instructions on the Wiki for more details. Added Dolphin GameCube/Wii emulator to experimental (x86/x86_64 only). Fixed issue that caused system retroarch configs to be reset/overwritten when they didn’t end with a complete line (ending in LF character). Uae4arm – fixed issue with kickstart rom being overwritten when updating. Added missing dependency. Mupen64plus – fix for The Legend of Zelda: Majoras’s Mask. Wolf4SDL – launch Wolfenstein 3D shareware by default. Quake3 – fixed demo files extraction path. joy2key – ignore ps3 potentiometer (avoids triggering runcommand menu accidentally). Fixed joy2key not being stopped on exiting RetroPie-Setup. The post RetroPie 4.0.2 is released appeared first on RetroPie. RetroPie 4.0 has arrived and with it come some major improvements to the software. It is now more modular than ever, and allows emulators and ports to be easily added and removed. There are also updates to included emulators, as well as improvements to the set-up tools to make configuration even easier. Improved management of RetroPie components. Analogue support in lr-mame2003 and correct aspect ratios for games. Splashscreen/Carbon Emulation Station theme updates. You can download a 4.0 image from: https://retropie.org.uk/download/. If updating from a previous version you should make a backup first, update the RetroPie-Setup script, then choose Update all installed packages. Installation Instructions can be found at https://github.com/RetroPie/RetroPie-Setup/wiki/First-Installation. Users of RetroPie v3.x can upgrade to the latest version by following the upgrade instructions on the Wiki. NOTE: Some people have been having trouble with the XBox/XBox 360 controller driver xboxdrv on the current Raspbian Kernel. To work around this we now include the latest xpad kernel driver with the image (it is available from the Packages -> Drivers menu for those upgrading). The included xpad has been patched to map the Xbox 360 triggers to buttons, so they work out of the box with Emulation Station, without the need for xboxdrv. Big thanks to everyone who has contributed to this release. Thanks also to our excellent web hosts Mythic-Beasts who are sponsoring us with our hosting. The performance and connection speed is great. We highly recommend them if you need a decent hosting solution backed by expert support. Added the ability to install/update and remove packages. Added help docs to the setup script. Renamed mednafen emulators to beetle to match upstream libretro repositories. Renaming of ES input configuration which was causing confusion for shoulder/trigger inputs. Much faster Emulation Station start-up in gamelist only mode. Updated Xpad driver included with “trigger to button” enabled, so mapping of Xbox 360 / Logitech trigger buttons is easier. Input configuration script to set up player 1 automatically on pifba and pisnes. Configuration Editor can now help you configure player gamepad order for libretro emulators. Updated PSP emulators ppsspp and lr-ppsspp with a fix for the pausing during play. Autostart improvements: boot to kodi option added – (exiting kodi will take you back to emulationstation). Improvements to mupen64plus Glide64 video plugin, which is now the default. Added new libretro emulator based on mupen64 – lr-glupen64. lr-mame2003 updates – support for mice/analogue joystick support. Fixed aspect ratio issues. Updates to various other emulators including reicast, lr-fceumm, lr-nestopia, lr-snes9x-next and the RetroArch frontend. SDL2 dispmanx scaling, so SDL2 software can render to a lower resolution and be scaled in hardware. This enhances performance on mupen64plus for example, without having to change the video mode. Improvements to the Bluetooth module, including the ability to try and reconnect to devices in the background, and an option to switch off our mapping hack for 8bitdo, so devices with a newer firmware will map correctly for RetroArch. Fix pairing with Android phones. Splashscreen improvements: New default splashscreen and a new splashscreen repository with additional splashscreens. Dinothawr (lr-dinothawr – standalone libretro puzzle game). Alternate Virtual Gamepad by sbidolach. Various other bug fixes and improvements. The post RetroPie 4.0 is released appeared first on RetroPie. A few bugs slipped into RetroPie 3.8 – most notably the launch commandline for DOSBox/RPIx86 was wrong, causing it to not work when launching DOS games directly from Emulation Station. There was also a problem building the gamecon gpio driver. These issues have been fixed, along with some other changes. NOTE: There are currently problems with the XBox/XBox 360 controller driver xboxdrv caused by a Raspbian kernel update. This can be worked around by rolling back the Kernel. More details can be found on the forum. A RetroPie 3.8.1 image can be downloaded here: https://retropie.org.uk/download/. Installation Instructions can be found here – https://github.com/RetroPie/RetroPie-Setup/wiki/First-Installation. Users of RetroPie v3.8 can upgrade to the latest version by following the upgrade instructions on the Wiki – https://github.com/RetroPie/RetroPie-Setup/wiki/Updating-RetroPie. The Prebuilt images are also available directly from GitHub – https://github.com/RetroPie/RetroPie-Setup/releases/tag/3.8.1. You can also install RetroPie on top of an existing Raspbian set up – Instructions can be found at the GitHub project site. Fix escaping in iniSet causing initial backslashes to be incorrect in ini files (Affected some +Start Scripts with spaces such as DOSBox). Don’t overwrite existing configs when updating advmame. SSelph’s scraper – Add option to set -append and -use_nointro_name=false flags. Disable binary install on Wheezy. Correct Emulation Station autobooting configuration due to changes in raspi-config. Added missing zip dependency for Solarus. Fix c&p error with mupen64plus that broke the initial config generation. Added new EmulationStation theme “material” from user lilbud. Lr-nxengine – no error message was shown when required data files are missing.